Folk eccentric Andrew Bird is no stranger to covers, having recently delivered an entire album's worth of Handsome Family tunes on Things Are Really Great Here, Sort Of… — but his latest musical makeover tackles a track from the New Pornographers. Bird recorded Mass Romantic cut "The Fake Headlines" for Montreal's Yellow Bird Project, which will be releasing a new compilation called Good People Rock on April 14 via Dan Mangan's imprint Madic Records. 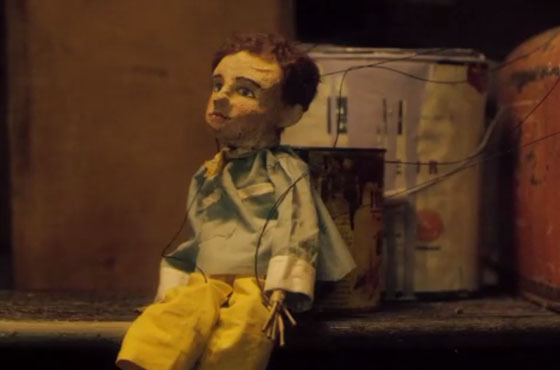 As for the video, it's every bit as charming as you would expect an Andrew Bird video to be. Marionettes steal the show in the clip, although they do get some human help when bodily repair work is needed. Give it a watch below.